API is deeply saddened by the recent passing of our co-founder Saul Walker. Mr. Walker was a pioneer in the pro audio industry, an influential teacher, and an exceptional man. He began his career as an Electronics Engineer for the US Navy, where his successful designs prompted him to co-found API in 1968. He went on to transform the audio world with products such as the API 312 mic preamp, 325 line driver, 512 mic preamp, the 550 EQ, 1604 console, the world-renowned 2520 Op Amp and much more. Mr. Walker's incredible talent and creativity helped establish API as an industry powerhouse, and after nearly 50 years, his groundbreaking designs are still the backbone of API. 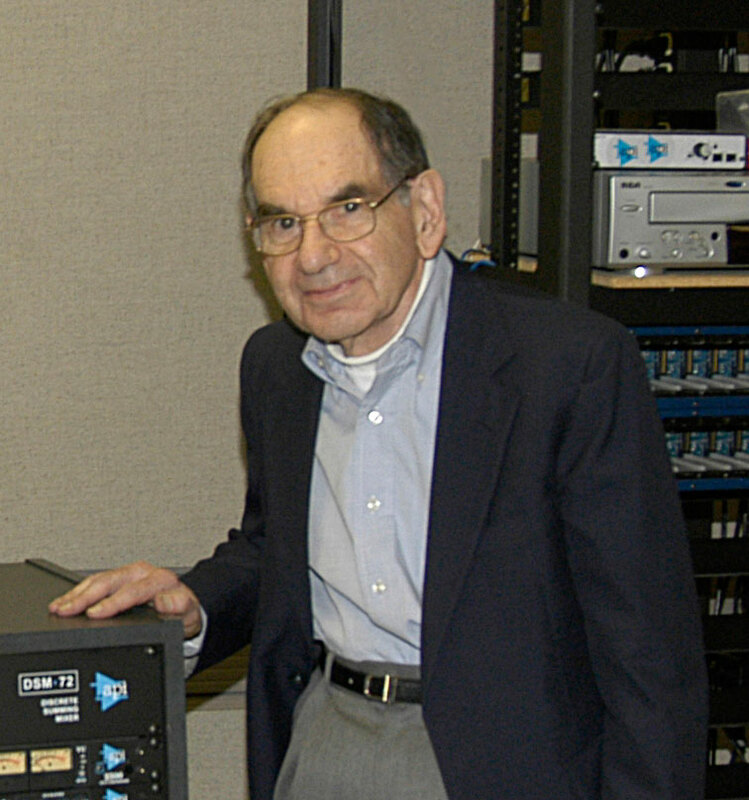 The Audio Engineering Society awarded Mr. Walker a fellowship in 1979 for his innovative console system designs, and in 2011, he received the prestigious AES Silver Medal Award for "decades of innovative analog designs that have raised the bar on audio quality while offering solutions that empower the creative side of all audio engineers." After his time at API, Mr. Walker continued to lend his brilliance to companies such as Otari, Mitsubishi Pro Audio Group, and Anchor Audio, among others, before dedicating himself to teaching. Saul became an Adjunct Professor of Music Technology at New York University in 2006 and lectured at Schulich School of Music, McGill University, and the Peabody Institute of the Johns Hopkins University. "In the late 60's I co-founded API. Back then, we had a simple plan: build the best sounding audio gear, use superior components, and give the customer the best warranty in the business. Four decades later, API is still faithful to my vision. The designs remain true to my original circuits. I don't own API any more. But I'm still proud of it."